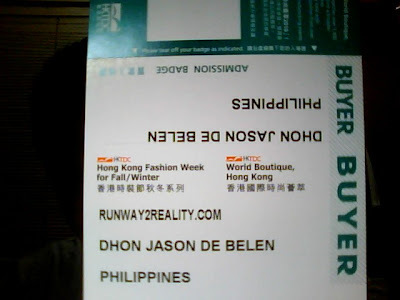 I just received my invitation for Hong Kong Fashion Week for Fall/Winter. Unfortunately, I can't go for a couple of reason: this was a short notice, my schedule and budget. 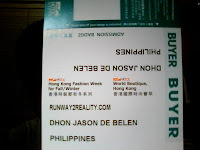 But if there's anyone who is willing to sponsor my trip to Hong Kong for the Fashion Week, I'll be happy to accept and open my schedule. I already packed and ready to leave and board the first flight to Hong Kong. If you are an individual or a company who will be willing to sponsor, please do contact me. Am keeping my fingers crossed.